Thank you for your letter dated August 9th 2018. 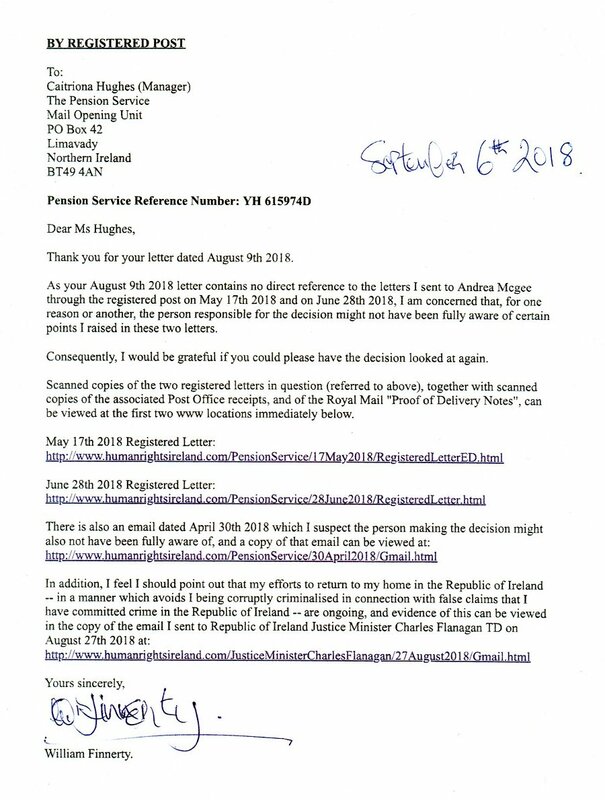 As your August 9th 2018 letter contains no direct reference to the letters I sent to Andrea Mcgee through the registered post on May 17th 2018 and on June 28th 2018, I am concerned that, for one reason or another, the person responsible for the decision (relating to my old age pension entitlements) might not have been fully aware of certain points I raised in these two letters. Consequently, I would be grateful if you could please have the decision looked at again. 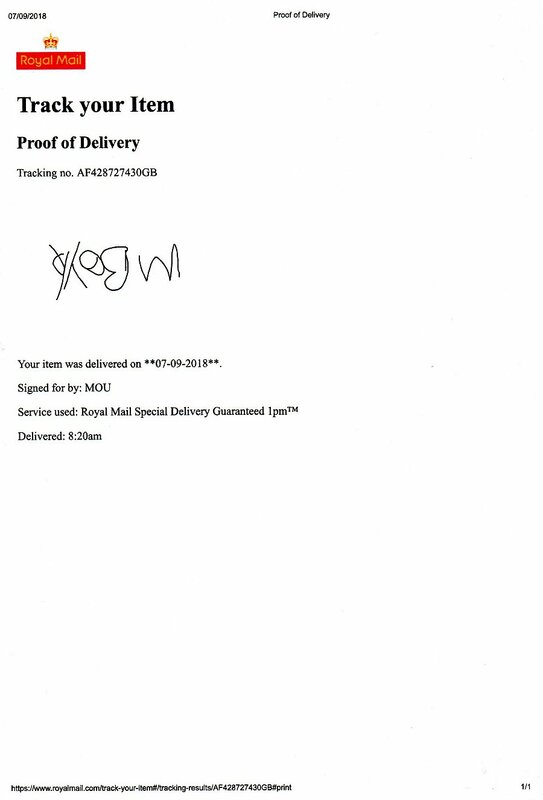 Scanned copies of the two registered letters in question (referred to above), together with scanned copies of the associated Post Office receipts, and of the Royal Mail "Proof of Delivery Notes", can be viewed at the first two www locations immediately below.